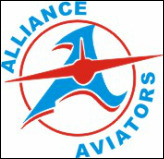 When one thinks of all the wonderful athletes and teams that have graced the athletic courts and fields over the years at Alliance High School, one person has been there to see it all and dedicated a working medical lifetime of expertise to the Aviators. 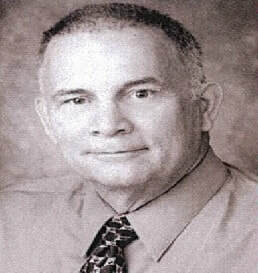 That person is Dr. Donald E. Carter who has volunteered his time and expertise from 1977 through his retirement in 2009. “The doctor gets to remember the wise calls he makes”, mused Carter. “Like when the on-field exam confirmed that a ‘first-degree shoulder separation’ was indeed minimal and the player who was allowed to play, made the last-minute end zone reception of a tipped pass with that arm, to win the game. That player will always remember that play and so will I,” he added. Dr. Carter said he has many wonderful memories of being the team doctor for the Aviators. He sighted the 1996 Federal League football championship season as the number one highlight, but confirmed that there are many, many memories. “The best medical sportsmanship award goes to two Alliance football players who realized that an opposing kicking team tackler was headed toward the Aviator sideline after a hard hit to his head. The AHS players each grabbed an arm in support to turn him toward an official for proper medical care. It just makes you proud to be from Alliance,” said Carter. Born in New Jersey, Carter graduated from Muhlenberg College in Allentown, PA and Hahnemann Medical College (now Drexel Medical College) in Philadelphia, PA. He worked at Akron City Hospital and then Alliance City Hospital from 1977 to his 2010 retirement. During that same period he maintained his own practice, The Alliance Family Medical Center. He is a member of the Stark County Medical Society, Ohio State Medical Society, American Academy of Family Physicians and Ohio Academy of Family Physicians. Dr. Carter and his wife Debbie, have been married for 40 years, they have three children, Greg, Amanda and Tom and have eight grandchildren. “Retirement will allow me more time for family, hobbies, travel, chores and leisure activities,” said Carter. “Too often physicians work until they drop, feeling that only they can do it best, or that more is better. It is the right time to retire for me.” It is well-deserved retirement for a man who has committed a bug part of his working life to Alliance and Alliance athletics. Thank you Dr. Donald Carter.